Radio show host, Gary Calligas will have Gregory Fynch, aka Gregory Asimakis, author and lecturer on his Saturday, June 30th “The Best of Times Radio Hour” at 9:05 AM on News Radio 710 KEEL to discuss his new novel “Does a Frog Remember its Tail?” about a childhood romance in a small town in Texas. 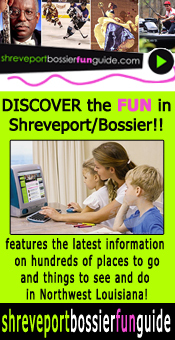 This radio broadcast will be a remote broadcast from Barnes and Nobles in Shreveport. You can listen to the podcast of this radio show by going to iTunes and subscribing to “The Best of Times Radio Hour”. You can also listen to this radio talk show streaming LIVE on the internet at www.710KEEL.com. and streaming LIVE on 101.7 FM or via the RadioPUP app on apple and android devices. For more information, please visit these websites at www.thebestoftimesnews.com and www.hebertstandc.com. or www.gregoryfynch.com This radio show is proudly presented by Hebert’s Town and Country of Shreveport featuring – Dodge, Chrysler, Ram, and Jeep vehicles and service.